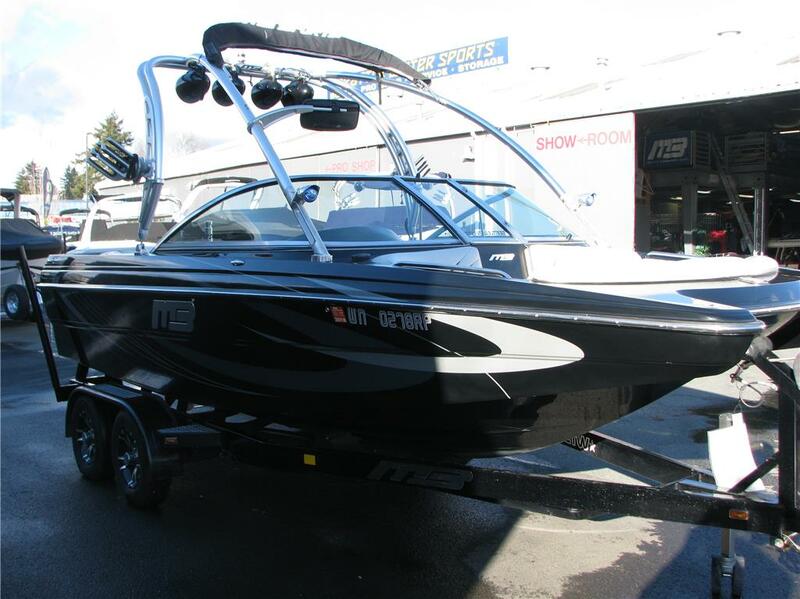 The Malibu Boats 23 vRide is built with the same quality materials (minus a few bells and whistles) as other premium Malibu wakeboard boats like the Wakesetter VLX and 247 LSV. The Malibu Boats 23 vRide delivers an all-purpose water-sports pull for less than $60,000. Besides the new exterior vinyl graphics that give the boat a sporty, progressive image, standard features like the Precision Pro Speed Control, Illusion G3 tower with Titan slide-off spinner combo racks, a subfloor 400-pound ballast system and a tandem-axle trailer ensure the Malibu Boats 23 vRide can fulfill every aspect of the wakeboarding lifestyle without adding a single option. There’s something that makes us feel good every time we step foot into a Malibu boat. It’s not just that we literally feel good when we stretch out on the thick, soft vinyl of the oversize observer’s seat, the expansive wraparound lounge or the swiveling captain’s chair. It’s that Malibu has focused on every detail to make comfort and functionality a top priority. Once part of the Wakesetter lineup, this model gives families an unforgettable wakeboard wake that is symmetrical and user-friendly. The wake is clean; has nice, rampy transitions; and is fun to session with just the stock ballast. For pro-worthy wake performance, we recommend the upgraded ballast system and the Power Wedge. and lights and gas-power assisted fold-down, this new tower is more user-friendly than ever. 2. Easy storage: Hinged, lit and carpeted storage compartments provide easy access to your equipment while keeping things scratch-free. 3. Quality tow: Standard cruise control, rack and pinion steering and Electronic Throttle Control (ETC) allow for effortless driving.